How Do Honey Bees And Bumblebees Differ? Most people assume that all bee species serve largely the same purpose, which is making honey and pollinating flowers. In reality there exists a massive amount of bee species, all of which possess their own unique features. 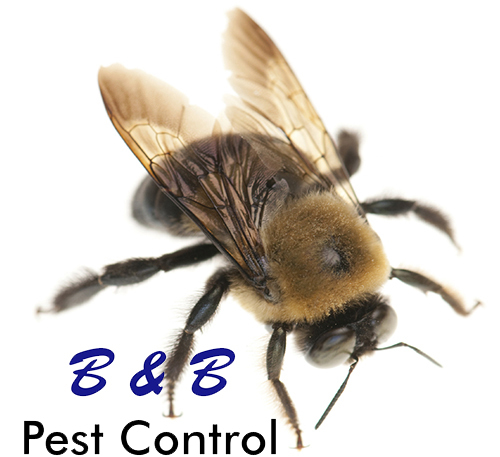 Only a few bee-types are well known to the general population, such as honey bees and bumblebees. It is often assumed that there exists little difference between these two types of bees. Bumblebees tend to be large and noticalby rotund relative to honey bees, but beyond this observation most people cannot make any further distinctions between the two. To put it simply and fairly, both honey bees and bumblebees possess many common features and behaviors, but they are very different in these respects as well. Both honey bees and bumblebees belong to the insect family known as Apidae, but they are separated into two distinct genera known as Apis and Bombus. Honey bees belong to the apis and it contains only four honey bee species. Bombus, on the other hand, contains two hundred and fifty species that are categorized into the Bombus genus. Honey bees are clearly smaller than bumblebees, but unlike bumblebees, honey bees possess two sets of clear wings with the top set being larger than the back set. Honey bees also do not possess a stripe on their thorax, nor do they possess a stripe on the body segment located between the head and the abdomen, but many bumblebees species do possess these features. Since their exists so many more bumblebee species than honey bee species, it can be difficult finding common features among all bumblebee species. However, most bumblebees have a thicker and rounder abdomen than honey bees, and bumblebees have no clear waist between their thorax and abdomen as honey bees do. Also, bumblebees are fuzzier than honey bees and they come in a larger variety of colors. For example, the Bombus pascuorum species possess tawny-colored hair as opposed to the usual black and yellow stripe pattern. Honey bees provide the world with honey, but bumblebees are not raised for honey production, as they only produce minimal amounts. Unlike honey bees, bumblebees mark the flowers that they have pollinated so as not to waste time searching for unpollinated flowers that contain ready-to-eat nectar. Have you ever been stung by both a honey bee and a bumblebee? If you have, which bee dealt out the more painful sting?